Most people imagine the cold virus is ‘caught’ from another individual who is infectious. In simplistic terms this is true, however it is far from the whole story, otherwise why do some people always seem to be going down with something or other whilst others never catch anything. It is obviously all to do with individual immune systems. That is also why when we have been weakened by one virus, we may well succumb to another immediately on recovery. It is not coincidental that during herbal treatment as well as with other ‘alternative therapies, colds and flu happening early on in the treatment are looked upon as positive and often even expected. The first thing to understand is that colds and flu are simply methods the body adopts to cleanse itself and get rid of weakened tissues. Similarly catarrh is a means of getting rid of harmful acidity that is creating an internal environment detrimental to good health. Treatment must be directed towards assisting this elimination and not suppressing it. The quickest method of cleansing the system is through the use of a short fruit fast. Acid foods are first and foremost refined white sugar and all its products, also refined white flour e.g. sweets, pastries, cakes, biscuits and bread, pop and soft drinks in general. Also, excessive animal products i.e. meat, fish, eggs, cheese, milk and fried foods. Echinacea is both anti-viral and anti-bacterial. Contrary to what most people have been told, the longer you take Echinacea the stronger your immune system becomes. 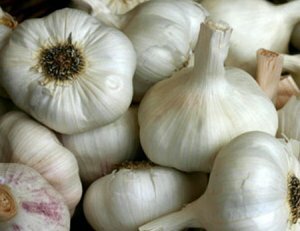 Garlic has always been available and a superb anti-bacterial, anti-fungal, anti-viral herb. Unfortunately the deodorised capsules do not exhibit these qualities and the smell of the pungent essential oil on the breath is less than acceptable for most people. These should make up approximately 80% of the diet. Examples of alkaline foods are fresh fruit & vegetables, seeds, Brazil nuts, coconut & almonds.